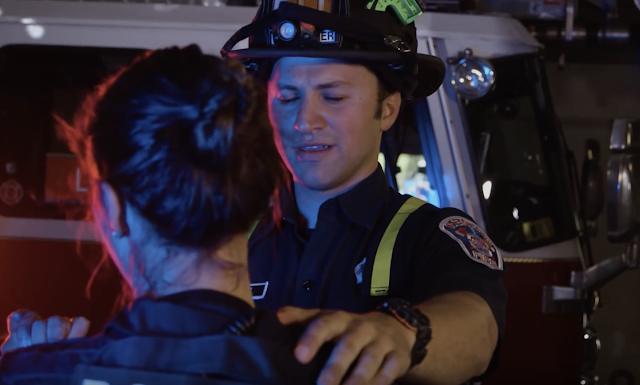 Fire fighters and police men are two of the many who risk their life just to save someone’s life. But, seeing them doing unusual thing like dancing is quite unexpected, what more if these life-savers recreate the famous “Dirty Dancing”? It is sure a very exciting and thrilling scene. 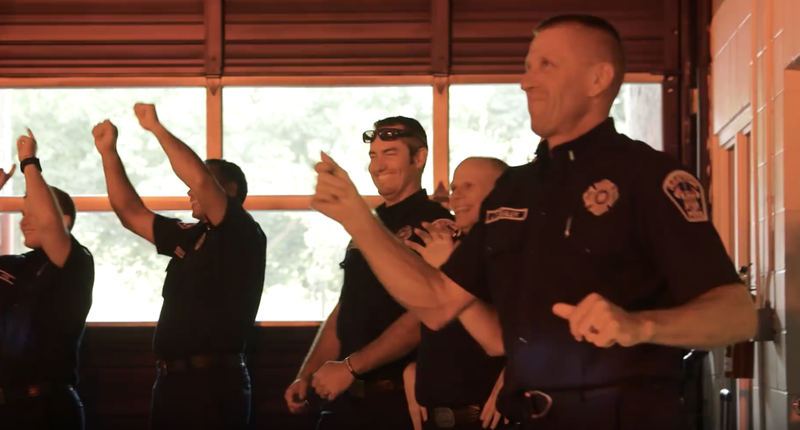 The Renton Police and Fire fighters from Renton, Washington, USA, just outside Seattle, joined the internet world in spreading a fun lip-sync video; and these guys decided to put on a little story into their dance routine. They added their humour and personality in their lip-sync challenge. 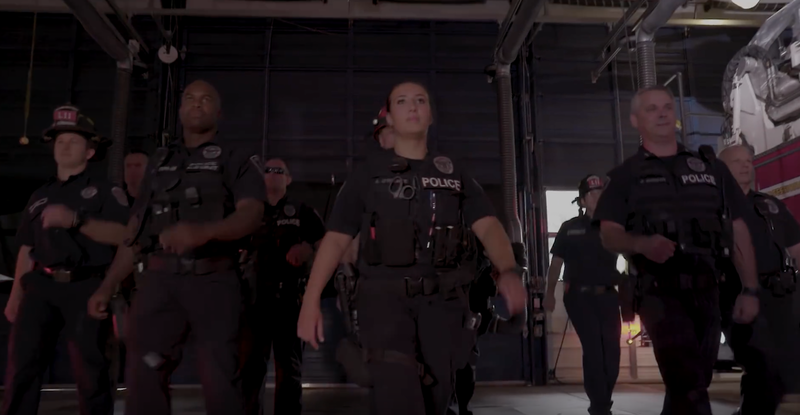 The video opened with the loud sounds from the vehicles of firefighters like sirens, horns and brakes with a voice over that sets the scene saying “Most people know that firefighters and police officers have one of the country’s longest standing rivalries but what most people don’t know…”; led by a policewoman, she and the crew acted like rushing into a fire hall trying to save her dance partner who was “in the corner” getting reamed out by his superiors. She said, “Nobody puts Brent in Fire in the corner”. 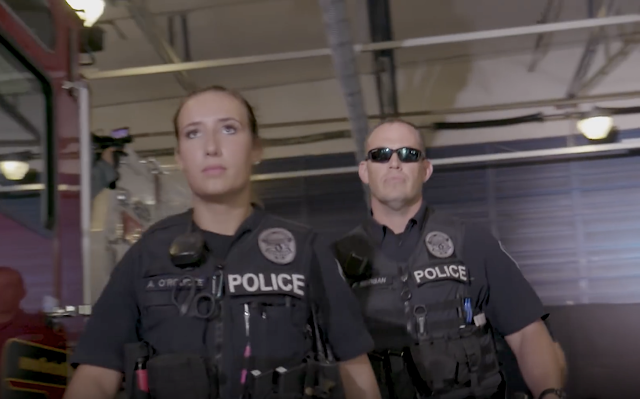 What added more to the drama was the gender-swapped clip of the scene that puts Brent from Fire face to face with his “savior”, the police woman who came in and saved him from his “angry boss”. The dancing mood was set as the lights turned dim and the disco ball started to spin. The duo grabbed each other’s hand and started their act while everyone watched. The familiar song of Bill Medley and Jennifer Warnes song “(I Had) The Time of My Life”, the theme song of Dirty Dancing played up. It was such a nostalgic moment for everyone as the pair mimics the beginning moves of the two stars of the said film. Everyone was waiting for the next move of the two. The couple was so busy imitating the moves and lip-synching like a pro. 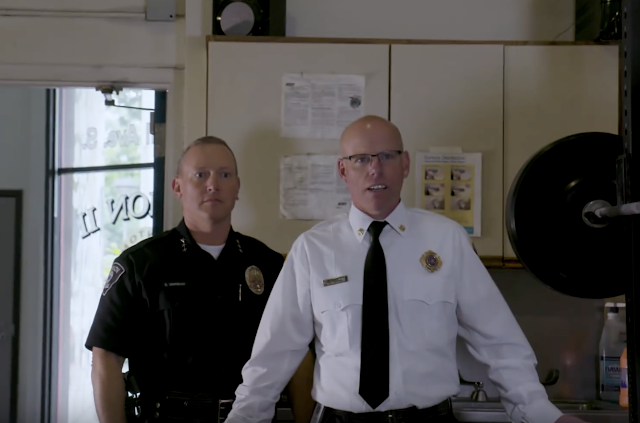 Everyone was so hooked that even the fire chief started to bob his hands on his hips while tossing a towel and the other officers seemed like joining the dance as they were swinging around the pole. Everyone was so carried away by the dance and it started to look like a party when they approached the part of the highlight of the dance, “the big lift”. It was a perilous move and doing it requires grace, strength and confidence, but as the chief leaned against the emergency button that sounds the alarm, what happened next was so funny. Watch the “big lift” that made this such a fun video to watch.